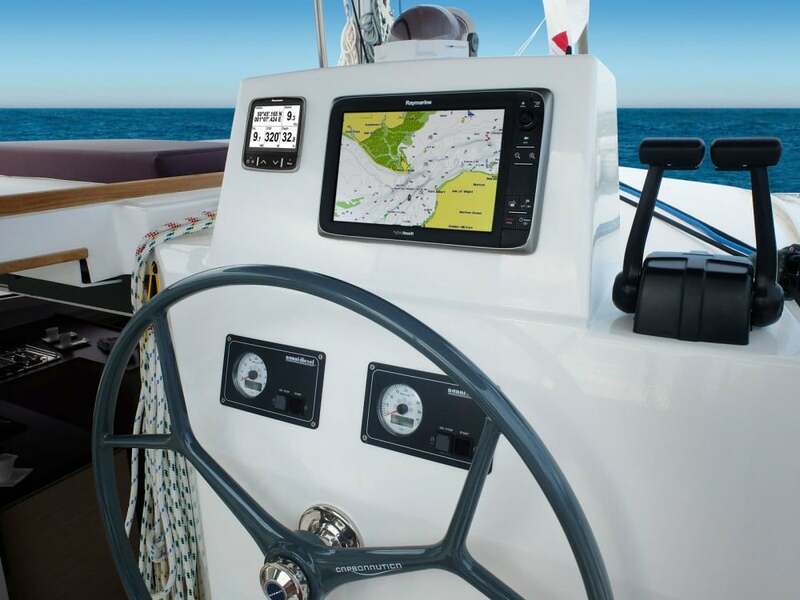 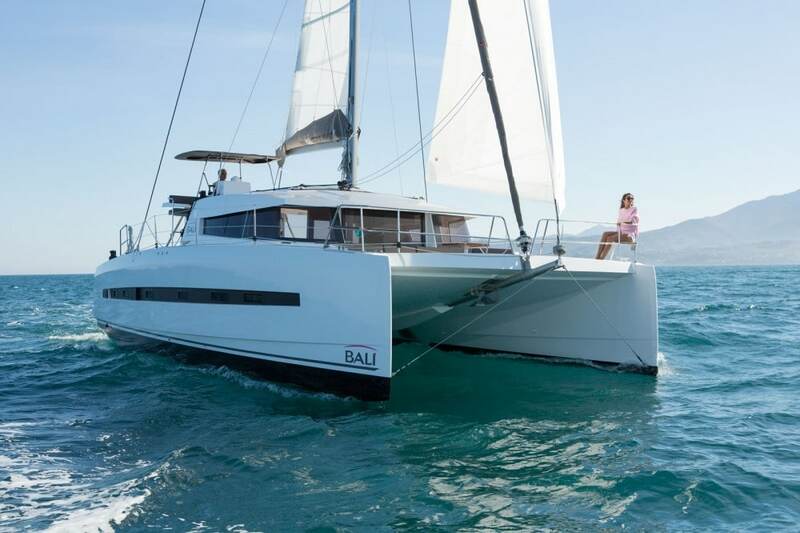 The very first of the highly-innovative and ground-breaking designs from the Catana in-house R&D department the Bali 4.5 pioneered many of the innovations now seen across the full Bali range of catamarans. 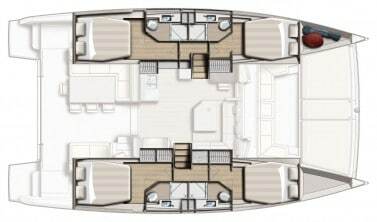 Large open spaces, flush saloon/cockpit, panoramic views, large windows providing plenty of ventilation and light. The vast forward cockpit with dining area and massive sunbathing area in place of the old style trampolines, with a choice of helm position: standard or fly. 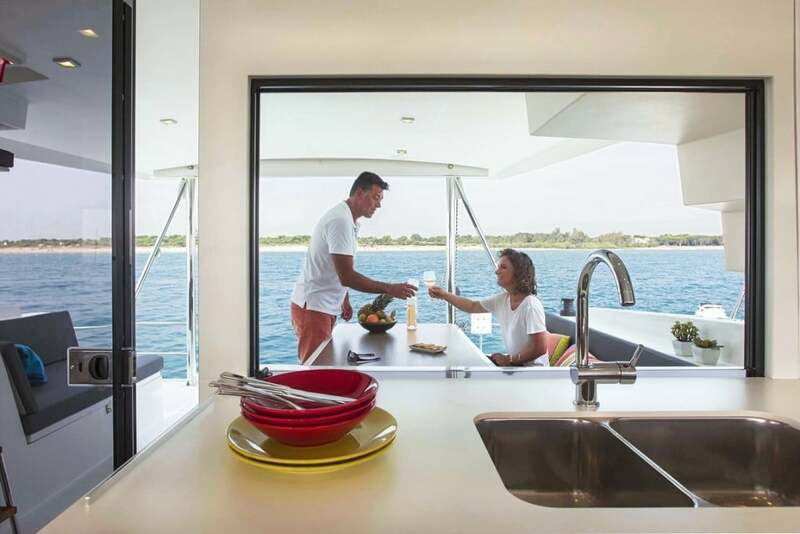 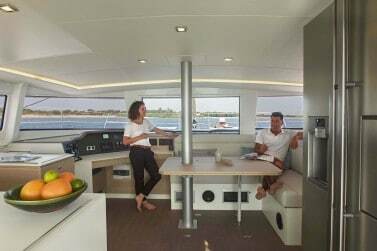 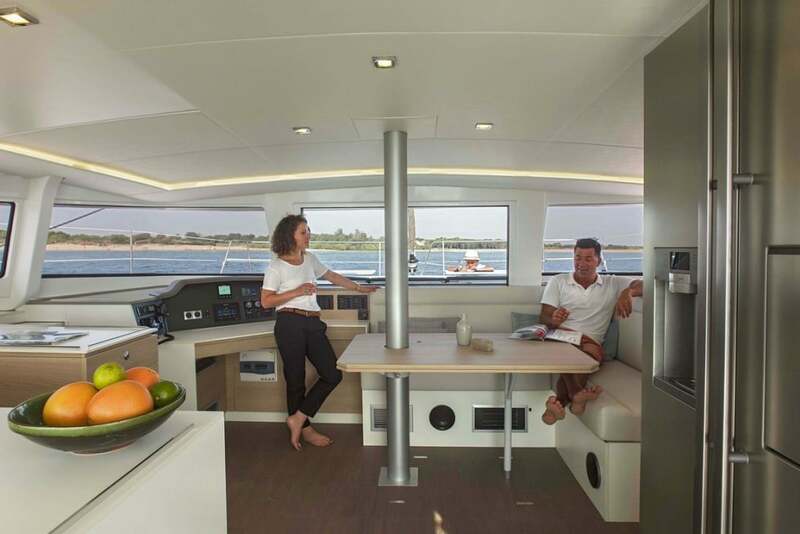 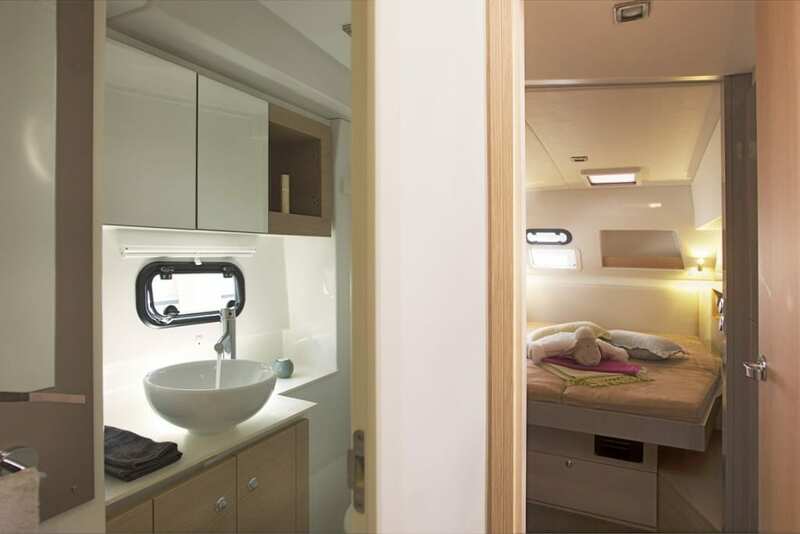 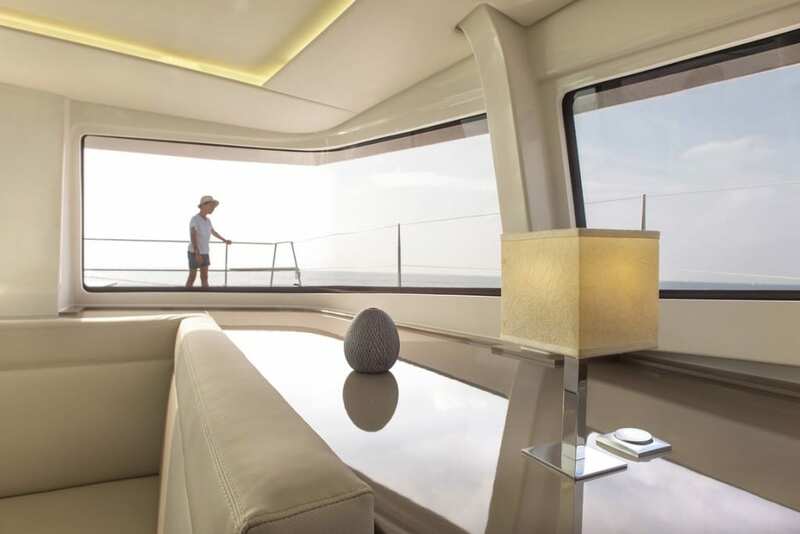 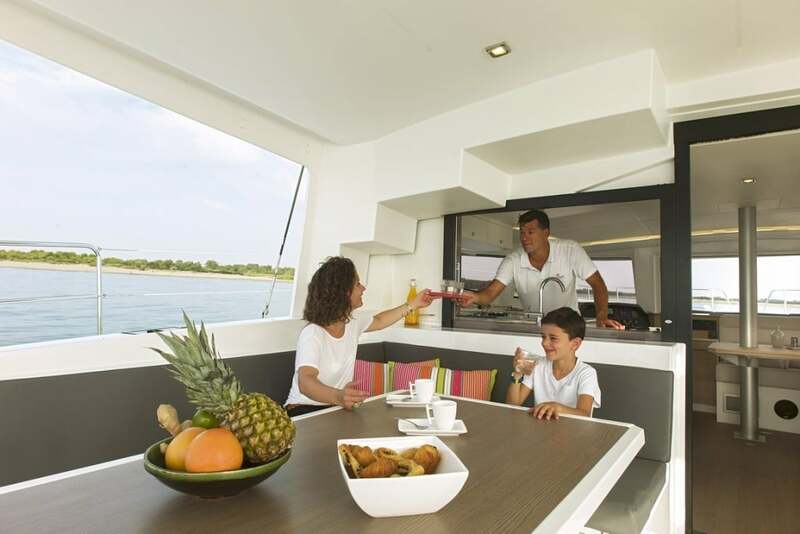 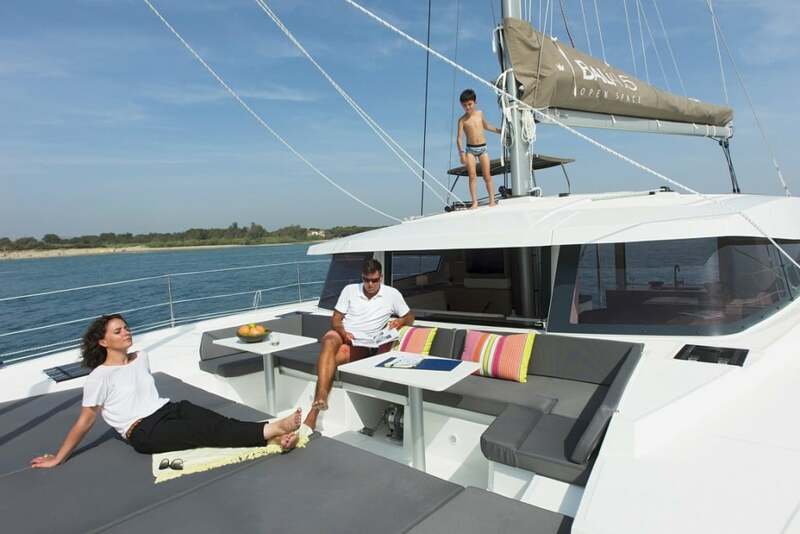 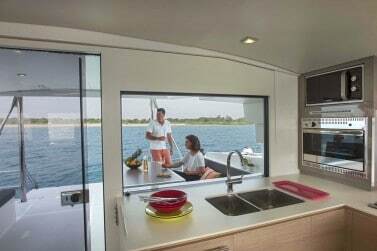 Welcome to the new way to sail and live on a catamaran: in ‘Open Space‘. Full self-sufficiency, comfort, safety, sea-keeping and superb performance are all trademarks of the Bali. 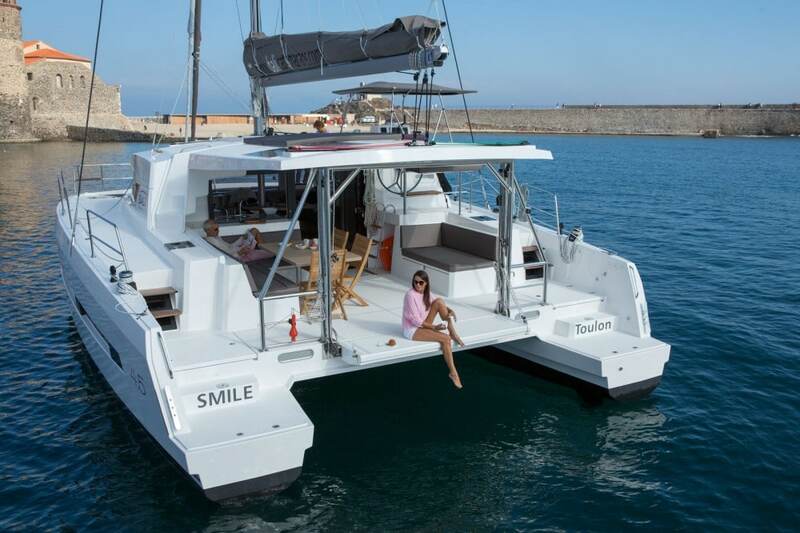 All as you would expect from the legendary Catana shipyard. 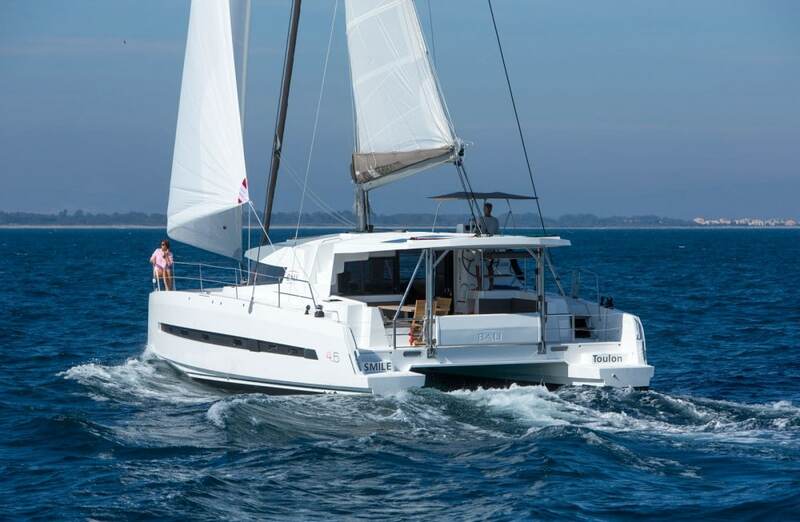 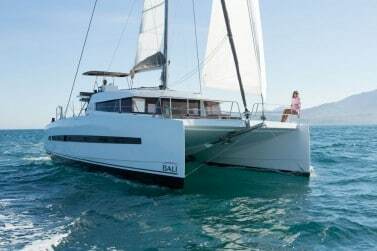 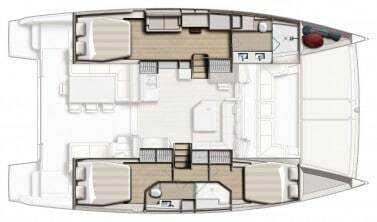 The Bali range is built with the benefit of the renowned Catana technology, quality and performance construction techniques learned over nearly 35 years of producing performance multihulls. 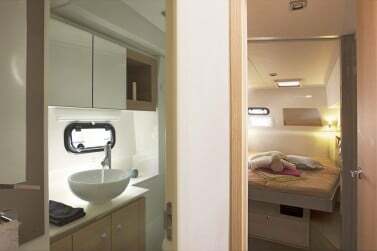 Only the very best materials are used in the construction; the choice of closed cell PVC foam sandwich with the resin-infusion system ensures strength, low weight, high rigidity and built to endure a long life. 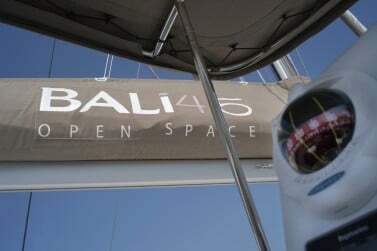 As a result the Bali 4.5 is the lightest in its class. 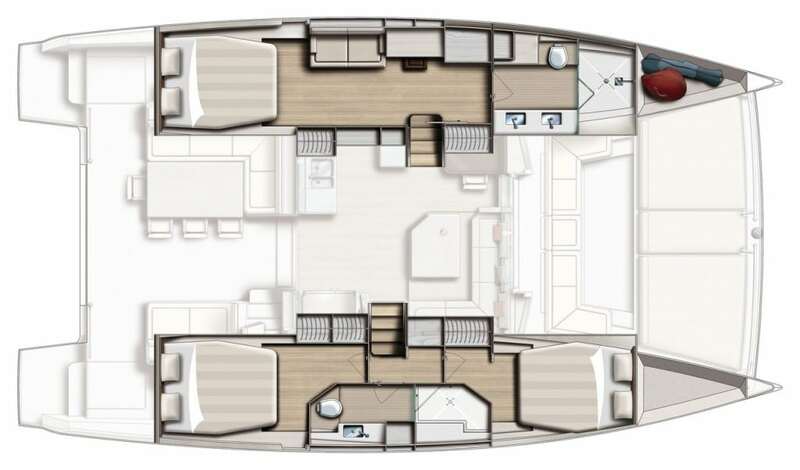 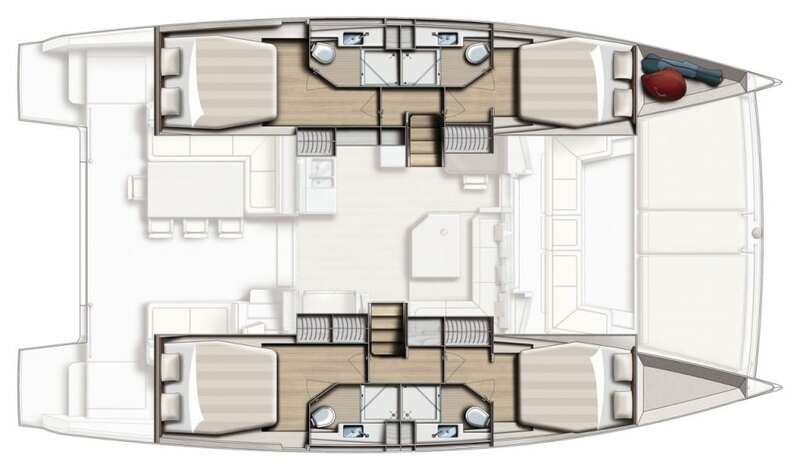 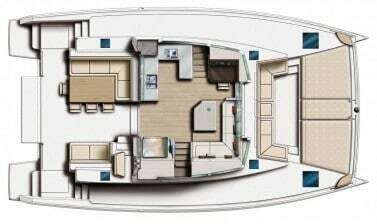 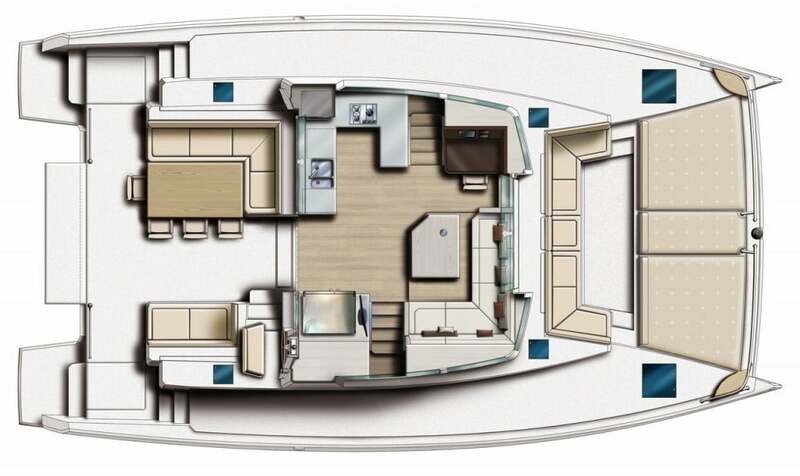 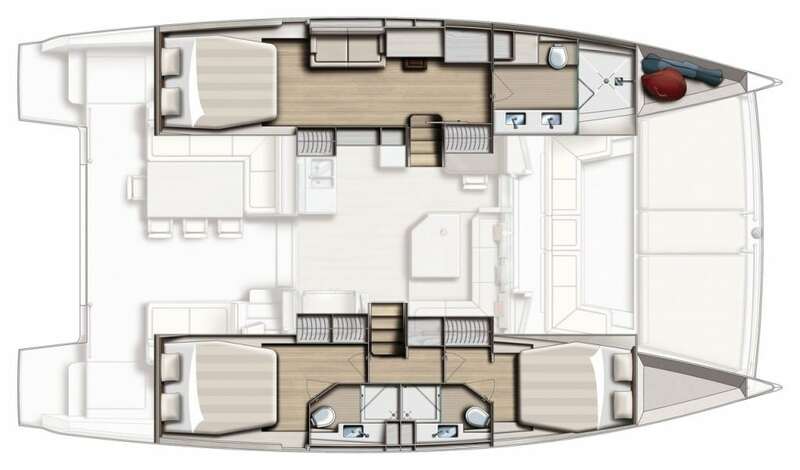 The design of the hulls and the height of the bridge-deck allows clear passage of the water between the hulls for better sea keeping, comfort and safety. 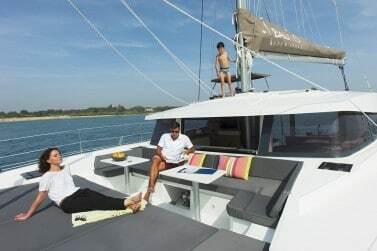 The easy to handle rig further aft than normal give the possibility of a large furling headsail with a self tacking solent jib for great manoeuvrability. The sail area and light displacement ensure good performance, sea keeping and safety as you would expect from Catana. 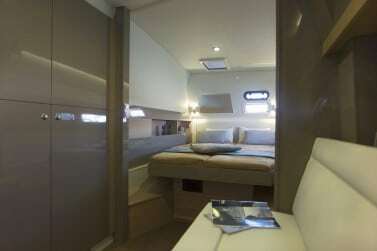 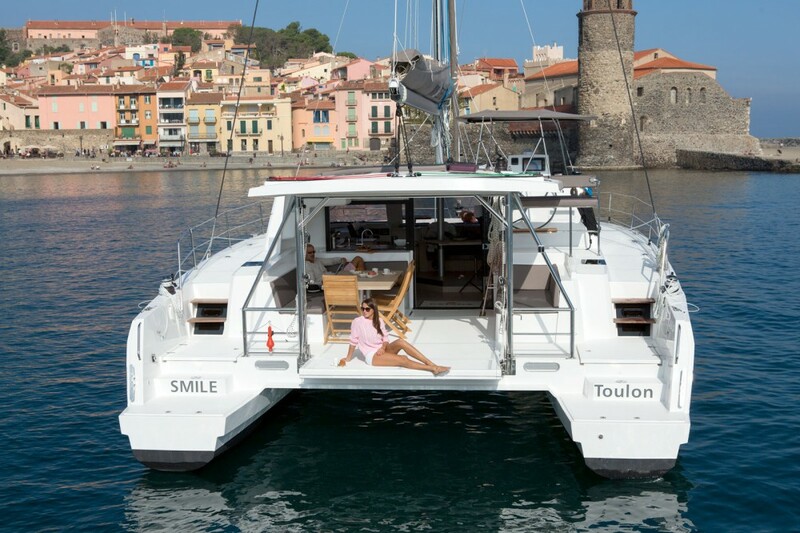 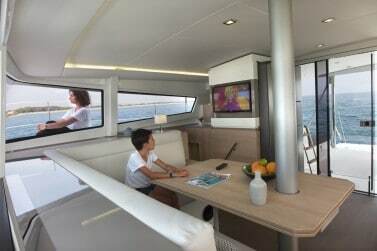 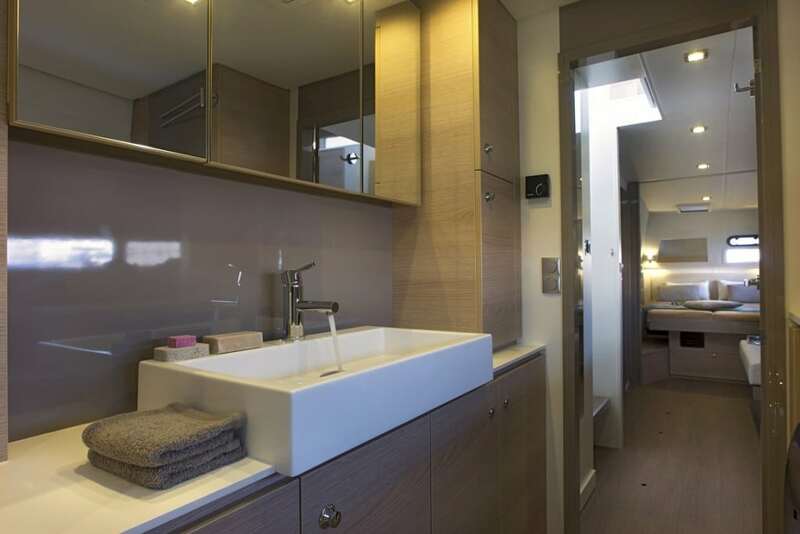 This is a catamaran for true long-term living, comfortable passages or a world voyage with complete confidence. 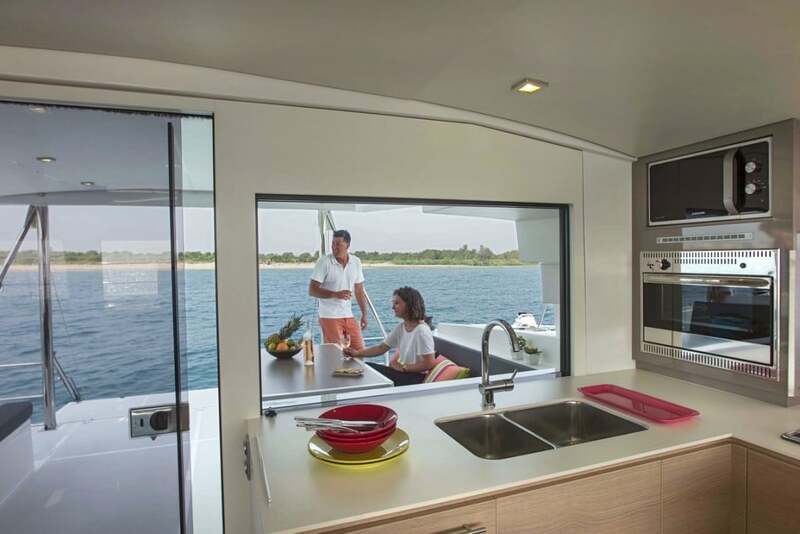 An unsurpassed level of self-sufficiency, with an 800-litre water tank, 200-litre per hour engine-driven water-maker, 800-litre fuel capacity, 615-litre American-style fridge/freezer with ice-maker and chilled filtered water dispenser. 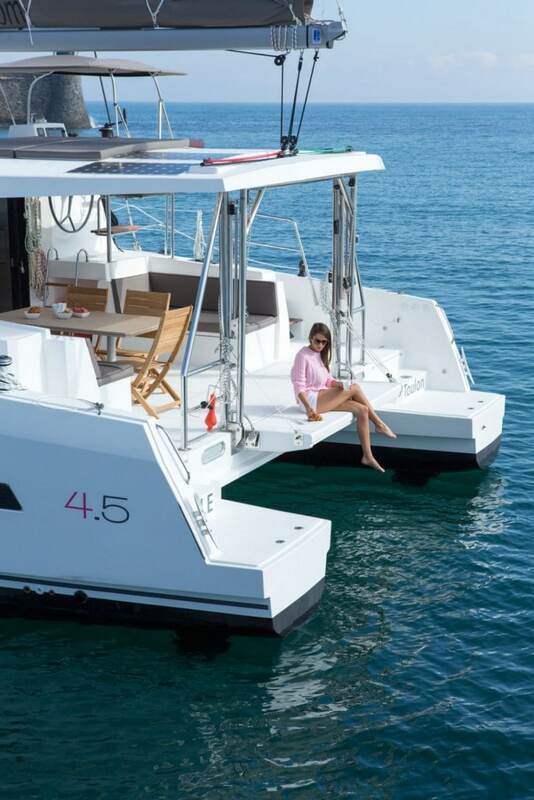 A unique level of autonomy in it’s class thanks, among other things, to two high-output engine-driven 12 Volt DC generators.